We've decked this hall with three events your whole family will love and remember for years to come: Eileen Ivers' A Joyful Christmas, Moscow Ballet's The Great Russian Nutcracker and The Night Before Christmas Carol. They're all wrapped up in one colorful package. Buy all three and save with a celebration subscription! World-renowned violinist Eileen Ivers and her band joyfully perform a program of American and Irish songs, original tunes and holiday favorites. A concert for the whole family celebrating the pure spirit of the season! Moscow Ballet's spectacular scenic design, gorgeous costumes and the exquisite artistry of 40 top Russian dancers have made The Great Russian Nutcracker an American holiday tradition not to be missed. 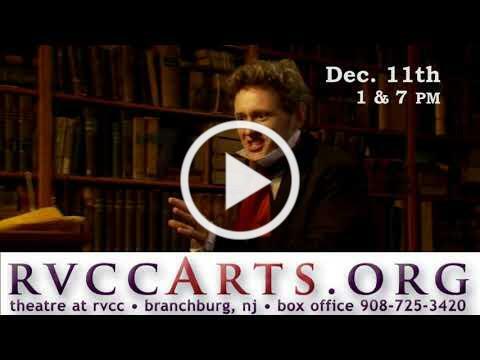 David zum Brunnen portrays Charles Dickens and 17 familiar characters in an energetic and acclaimed performance that gives audiences a humorous (and historically accurate) glimpse into Dickens' inspirations for his world-famous tale.